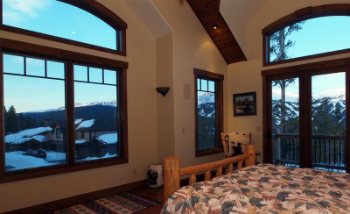 A very few single-family homes are perfectly located on the closest-to-town, sunny, lower ridge of Baldy Mountain where the views are expansive over the Blue River Valley and the Breckenridge Ski Resort to the west. The neighborhood is aptly named Baldy Ridge Estates. 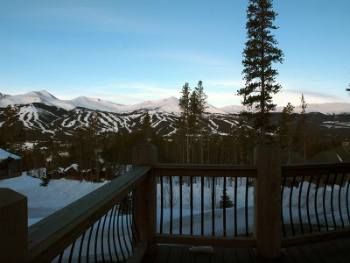 The Baldy Ridge Estates homes for sale are located in a subdivision born in this millennium, close to the free county-wide transit stop, with trails out the door to downtown Breckenridge and the national forest. Residents can be frequently found hiking Baldy Mountain, or taking a relaxing stroll into town. Check out the available Baldy Ridge Estates real estate listings below, or learn more about this desirable community. 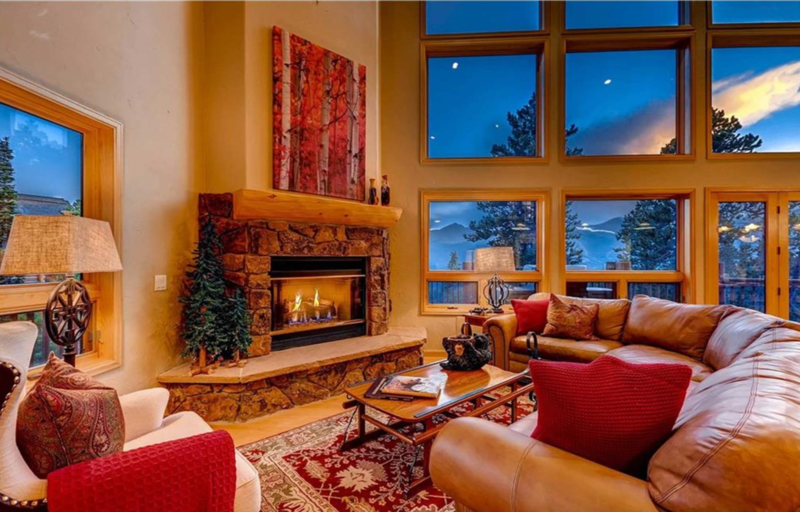 Any home for sale in Baldy Ridge Estates will be newer, in 21 Century mountain style, which means rough timber and plenty of stone outside, open spaces, smooth finishes accented by more natural and sometime reclaimed beams or other prominent feature. All Baldy Ridge homes are on large lots, and a few are still vacant and ready to build. Natural gas fuels most of these homes, but is not a given in older rural subdivisions in unincorporated Summit County. Not being in an incorporated town, Baldy Ridge Estates are not subject to town transfer tax, and that the other utilities will be self-contained. The wells and septic systems for these homes are required to use the latest technology and environmental best practices, and result in what many will say, better tasting water, and more affordable services. Sq. Footgage: 3443 sq. ft. to 8070 sq. ft.
From the traffic circle on the north side of Breckenridge, continue on Highway 9 by proceeding on Park Avenue. After 1.5 miles Park Avenue rejoins Main Street at a 3-way stoplight. At the following stoplight turn left on Boreas Pass Road. Continue up Boreas for 2 miles and several switchbacks, and take a left on Baldy Mountain Road. Baldy Mountain Estates will be the first street on the right. Don't hesitate to contact us if you have any questions about real estate in Summit County, or the Baldy Ridge Estates homes for sale. Listing information last updated on April 19th, 2019 at 8:33pm MDT.